Eliminate unwanted low-frequency background noise at the touch of a button. This lets you stay focused even in noisy office environments. Works straight out of the box with all leading UC systems and the the 3.5mm jack lets you connect to a PC, smartphone, tablet, or any other personal device. Is your meeting running over? Easily transfer your Skype for Business call before you leave the office. Disconnect the 3.5mm jack and plug it into the smartphone. Your call will be instantly transferred. Activate the red busy light to create your own concentration zone and keep you from being disturbed. Our products work out of the box* and let you combine perfect sound quality with great comfort. Do you need to connect to your deskphone? Check our compatibility guide. *Jabra is certified with all major communication platforms but as a minimum, all Jabra USB devices will work as audio only. Every new employee gets an Evolve 80. Yes. Evolve 80 has world-class speakers that are built for both voice and music. Do I need to install before use? No. Evolve 80 works straight out of the box with all leading UC systems. Installation is as easy as simply plugging it Into the USB port or 3.5mm jack to your laptop, or by using the 3.5mm jack straight into your smart device. Does this device have Active Noise Cancellation? Yes. The Evolve 80 is built to eliminate noise. 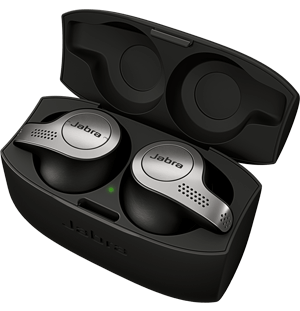 Jabra’s unique Active Noise Cancellation (ANC) filters out low-frequency background noise. 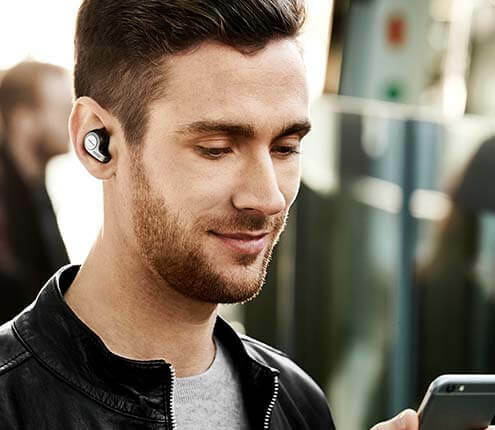 For more frequently asked questions please visit the Jabra Evolve 80 support page. *Click here for details of our claim.